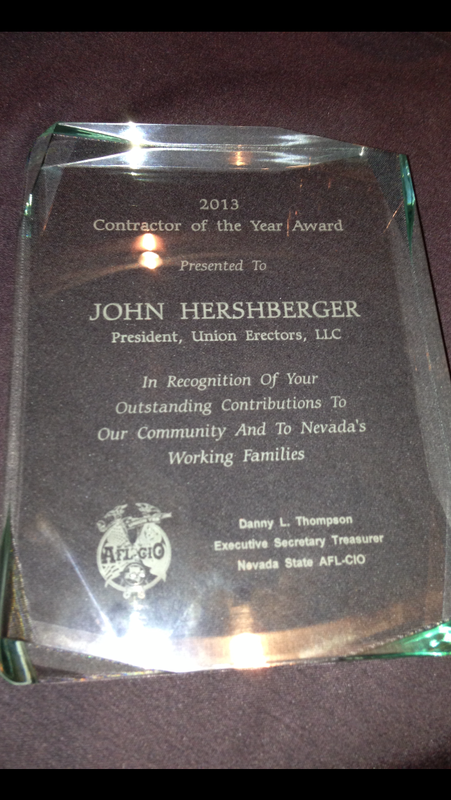 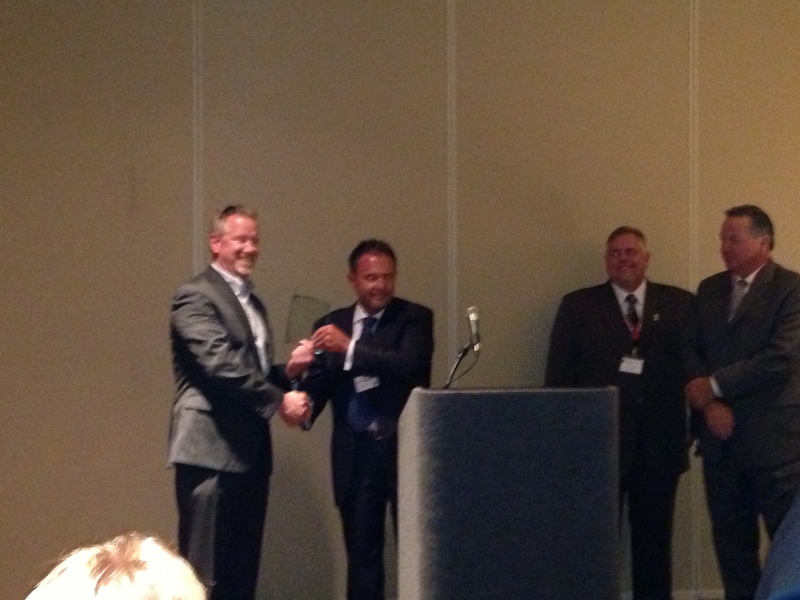 Union Erectors is pleased to announce that we were commended for being Contractor of The Year 2013 at the 57th Annual Constitutional Convention of the Nevada State AFL-CIO Awards on Wednesday, 21 August 2013. 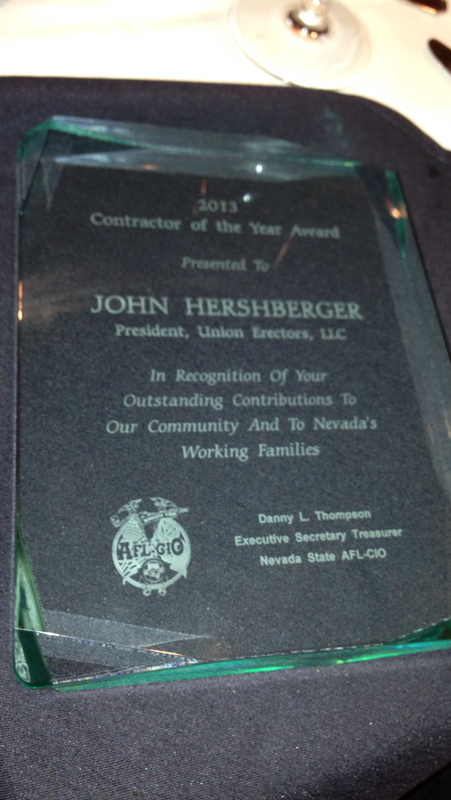 Union Erectors is extremely honored to except such an honorable award and would like to thank all of the employees of Union Erectors, Ironworkers Local 433 Business Agent Robbie Conway, Ironworkers Local 433 and everyone that has helped in the path to make this award possible, thank you! 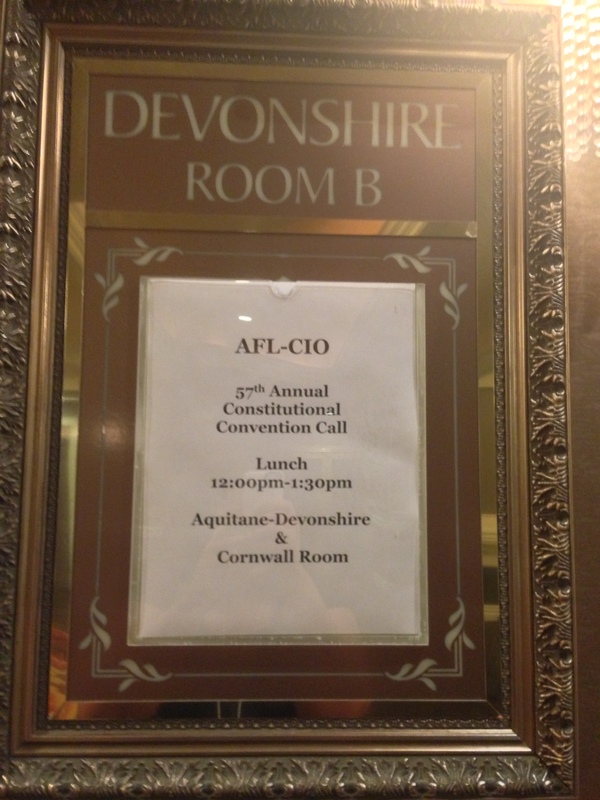 The event was held at the Excalibur Hotel & Casino in Las Vegas and was attended by members of the Nevada State AFL-CIO. 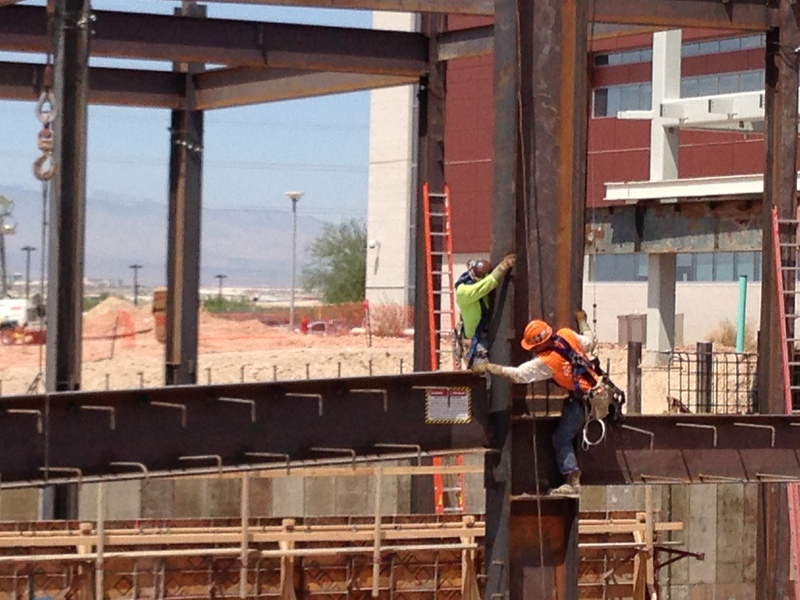 Union Erectors Hang'n and Bang'n at the VA Las Vegas Administration & Education Buildings. 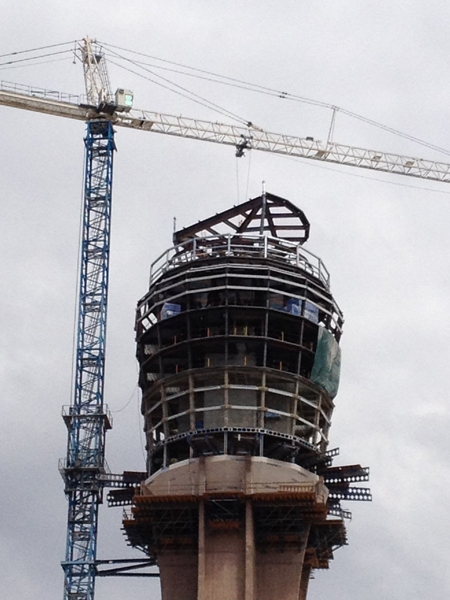 Union Erectors is completing Structural Fabrication and started Structural Erection on the Admin. 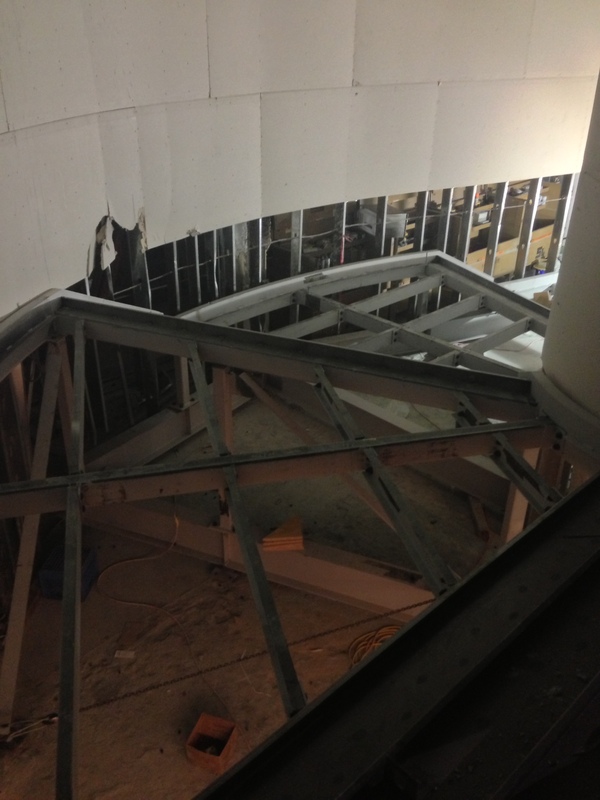 and Education Bldgs. 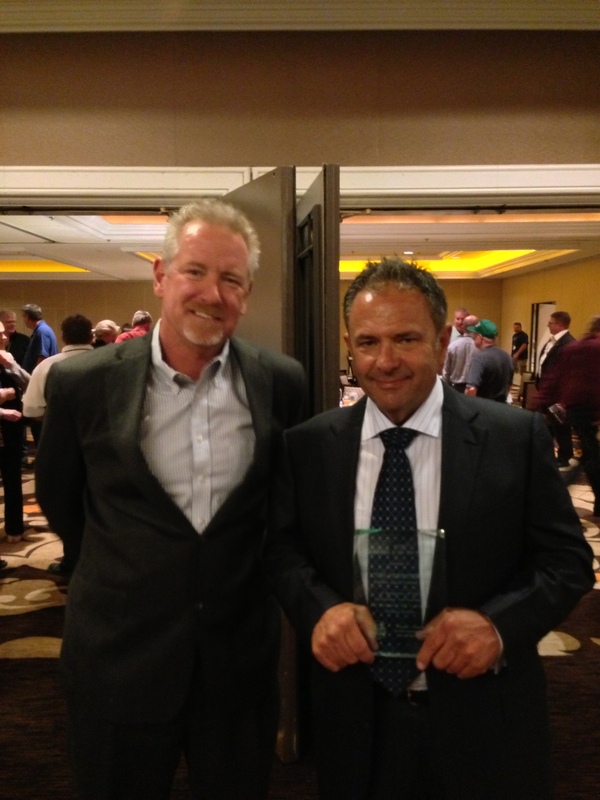 at the VA Las Vegas this past month. 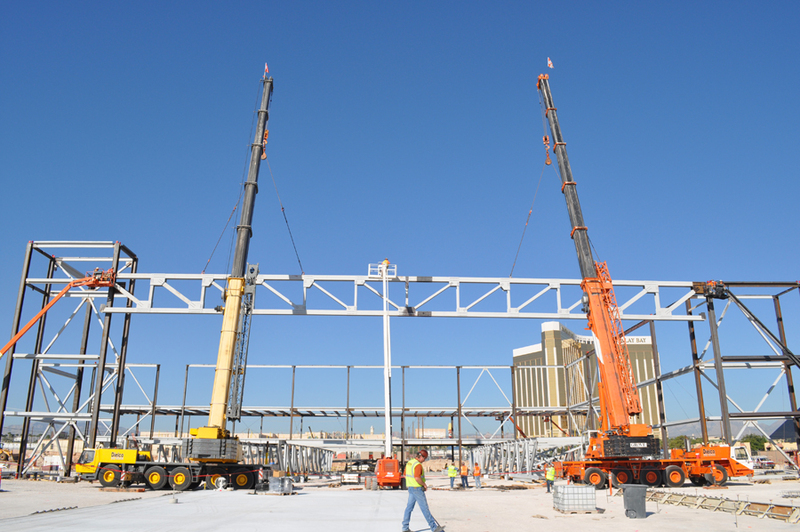 See a few photos below of progress at the VA and for more photos, go to our PHOTO page at the top and check out the album for the VA.
Union Erectors is wrapping up Structural Steel Erection at the Sands Hangar in Las Vegas. 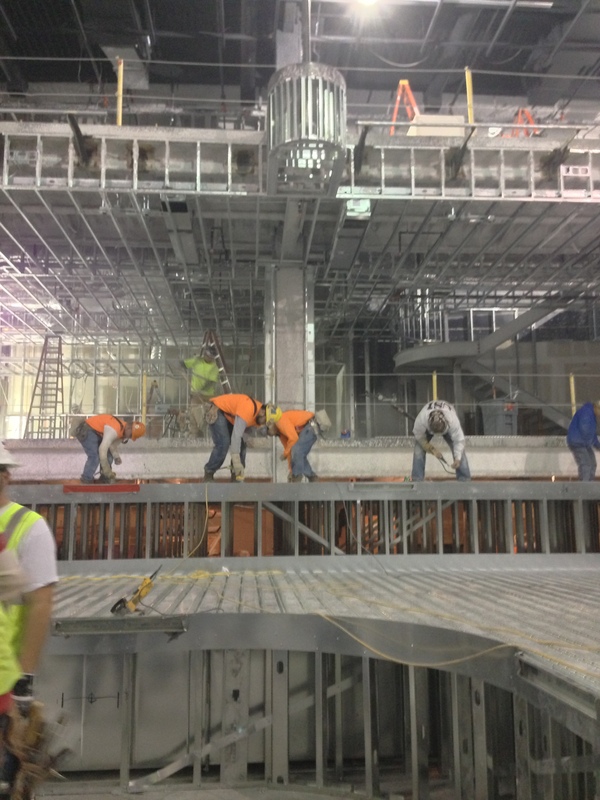 Please enjoy some recent photos of the Sands Hangar and some of our Ironworkers. 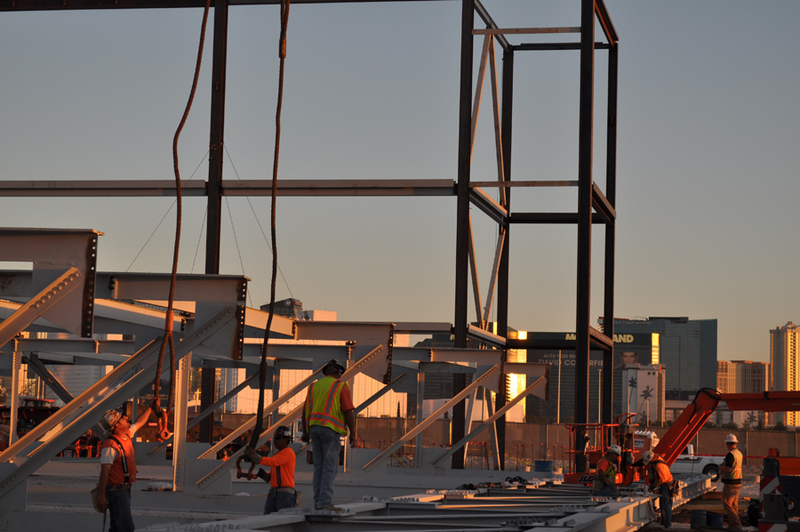 We have recently started several new projects in Las Vegas and more information to follow on that this month! 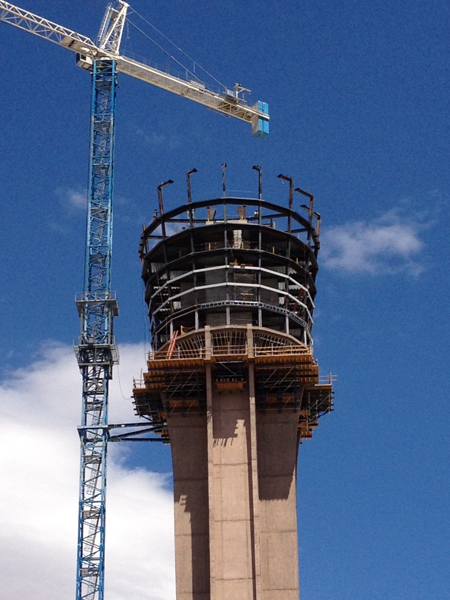 As October approaches us, Union Erectors is finishing up work on the Tower, Parking Garage and Office Building at the New ATCT © McCarran Airport; We are finishing work at Michael Jackson Theatre © Mandalay Bay; and we are starting working at a few new projects, more to come on those later. 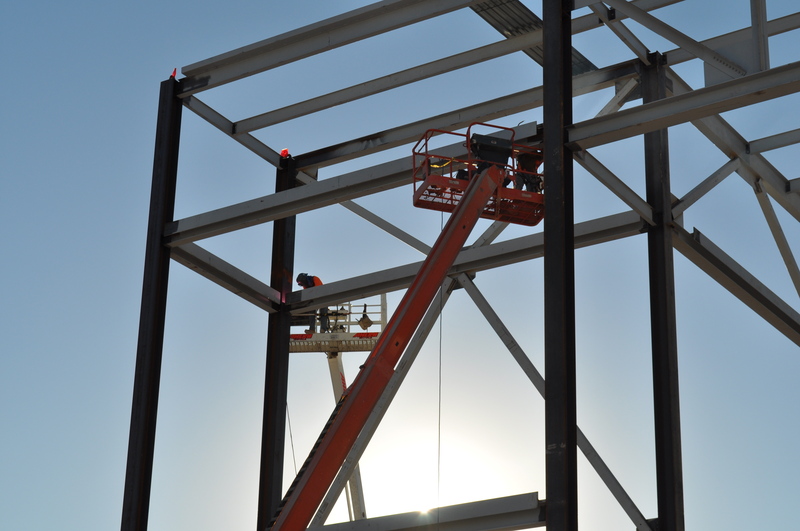 Structural Steel Erection is well under way for Union Erectors at the Sands Aviation Hangar. 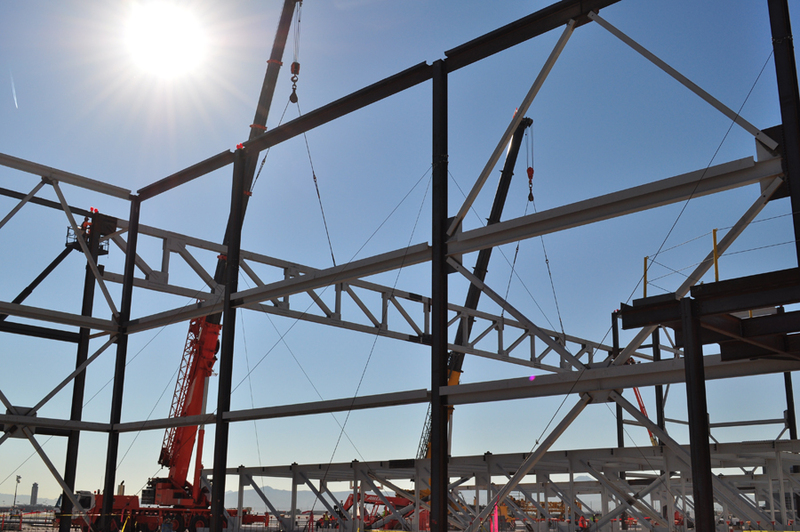 We set the first Truss at the Sands Aviation Hangar yesterday. 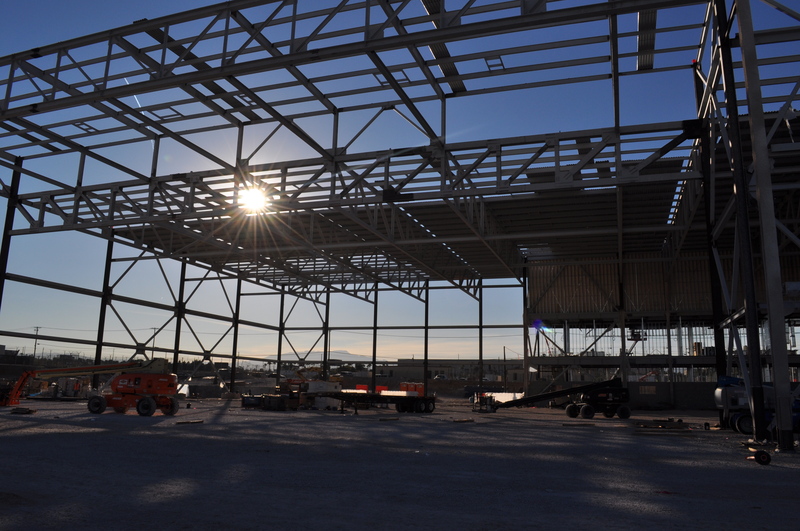 To see more pictures of the Sands Hangar and our other projects, please visit our photos page and check back for more updates soon! 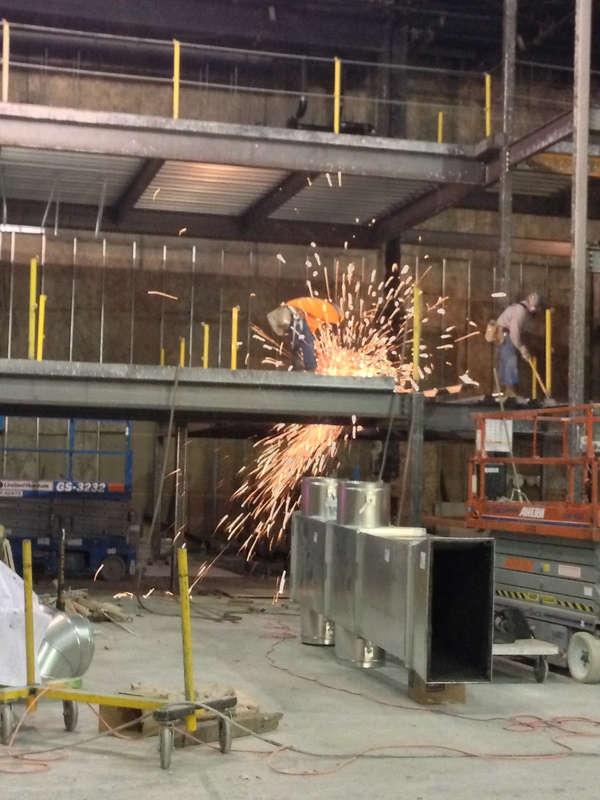 Come join Union Erectors, LLC for STEEL DAY 2012! 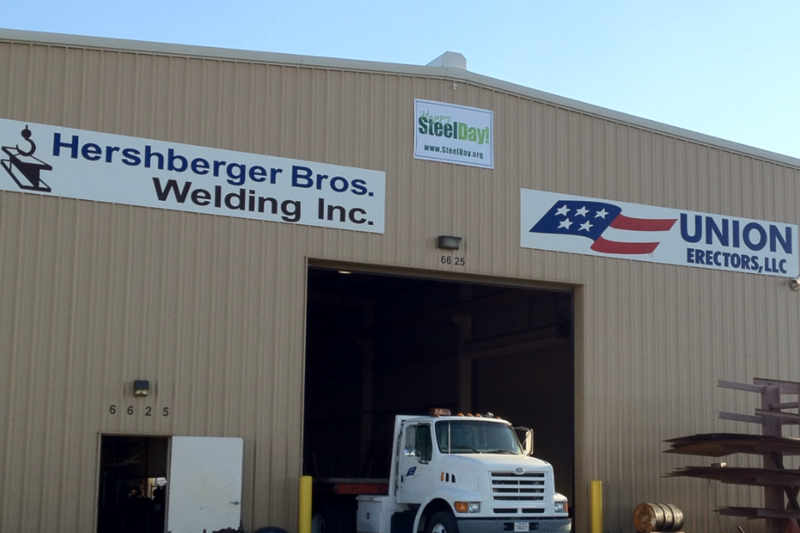 On Friday, September 28, 2012, come visit our fabrication facility between 11AM-2PM for a tour. 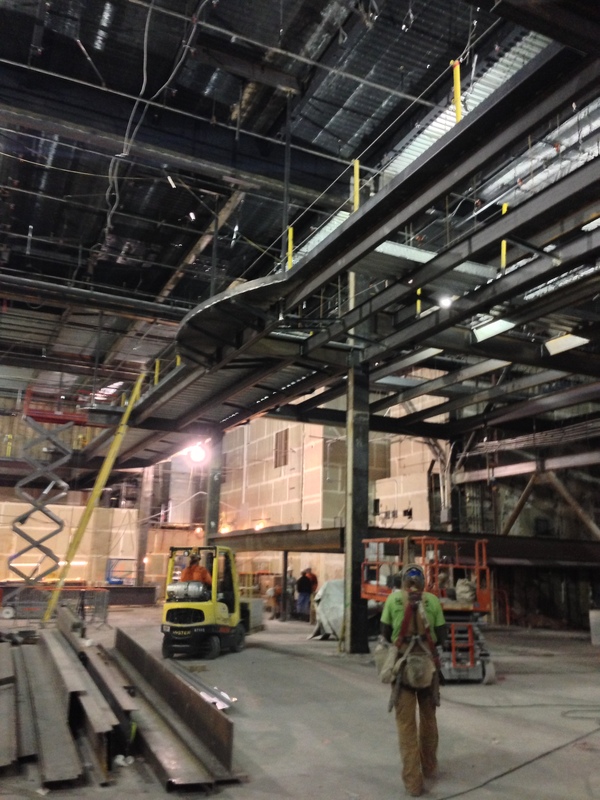 We will be showcasing our beam line, cambering machine and some additional unique equipment to Union Erectors. 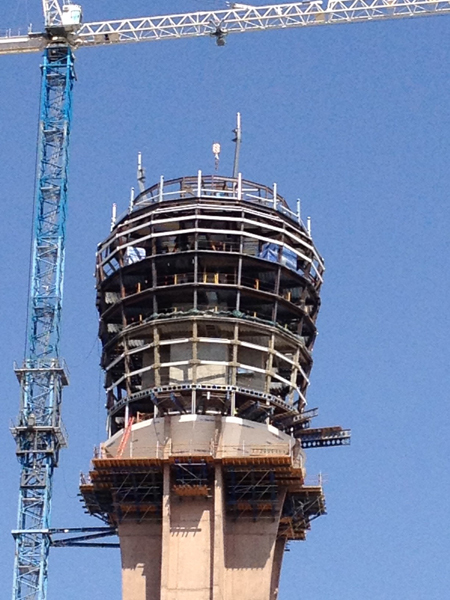 We will be providing lunch at 12PM. 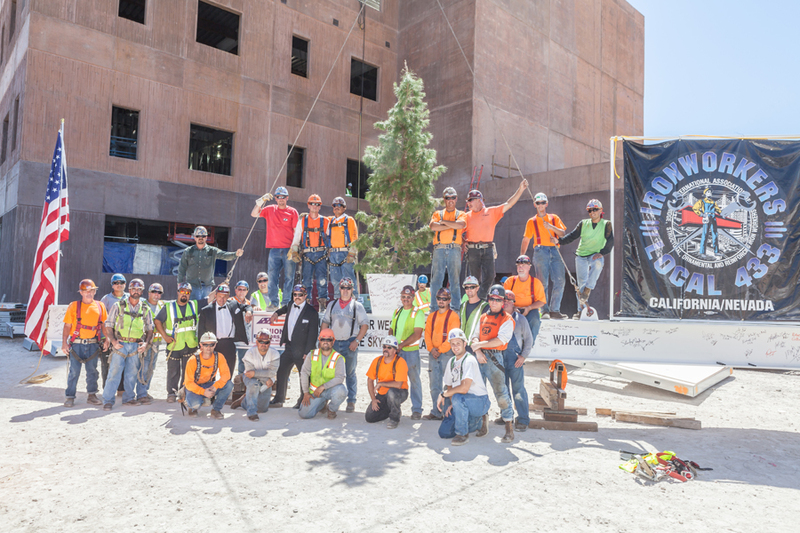 With our Topping Out of the New ATCT and many other projects underway; Union Erectors is finishing up work at the Michael Jackson Theatre at Mandalay Bay Hotel & Casino. 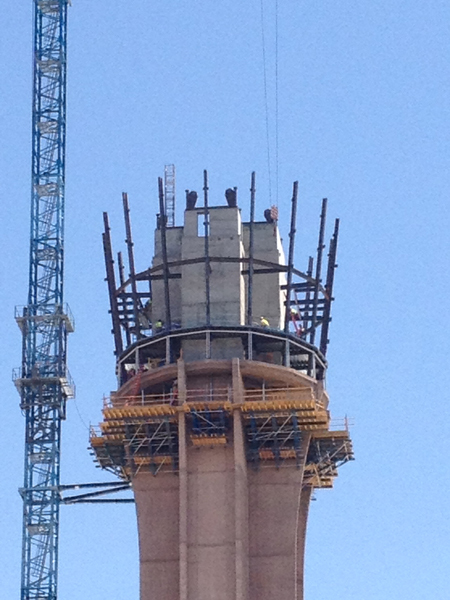 Union Erectors is proud to announce the Topping Out of the New ATCT at McCarran International Airport in Las Vegas, NV. 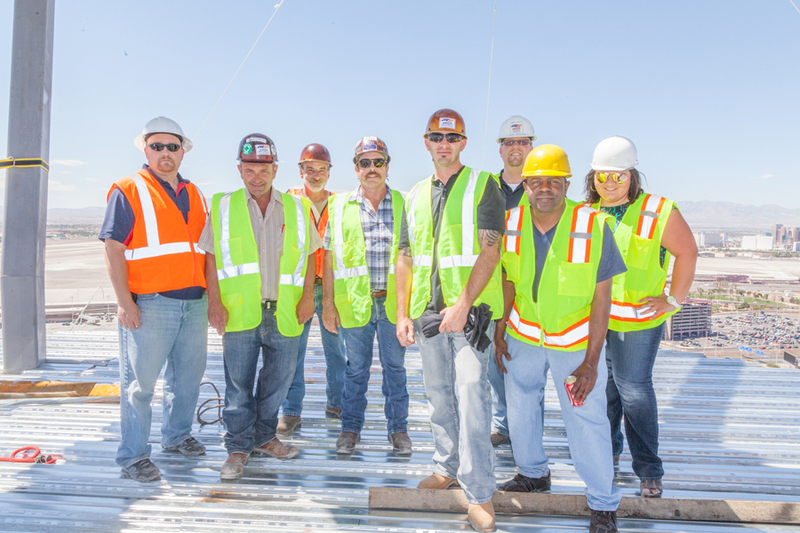 The Topping Out Ceremony was on August 28, 2012 with attendees from the Federal Aviation Administration, Archer Western Contractors, LLC and Union Erectors, LLC. 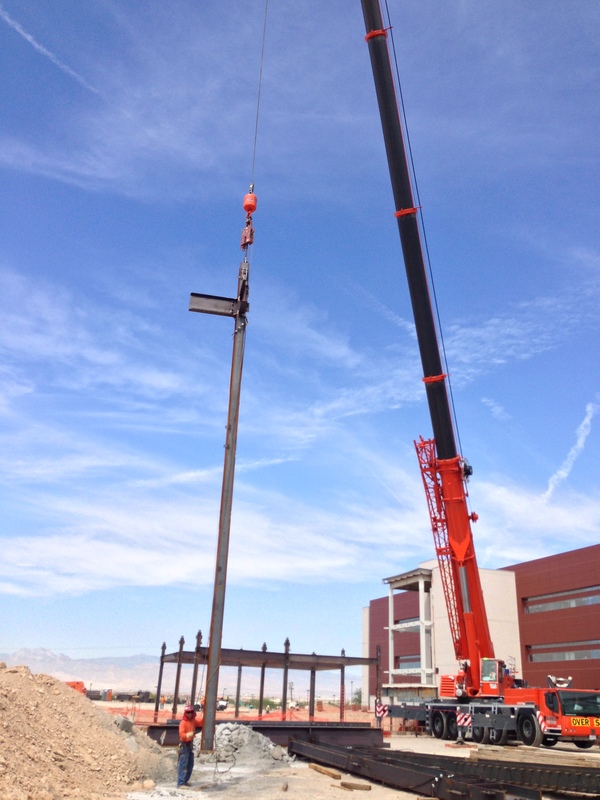 Union Erectors has enjoyed the opportunity of working with Archer Western on the construction of this impressive project that has shaped the skyline of Las Vegas. 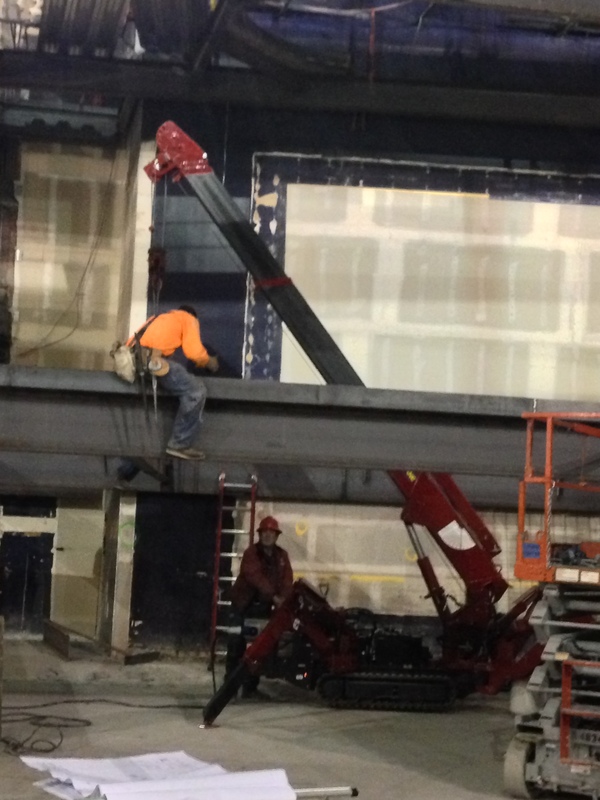 Union Erectors has several new projects starting this month, check back for updates on those projects soon! 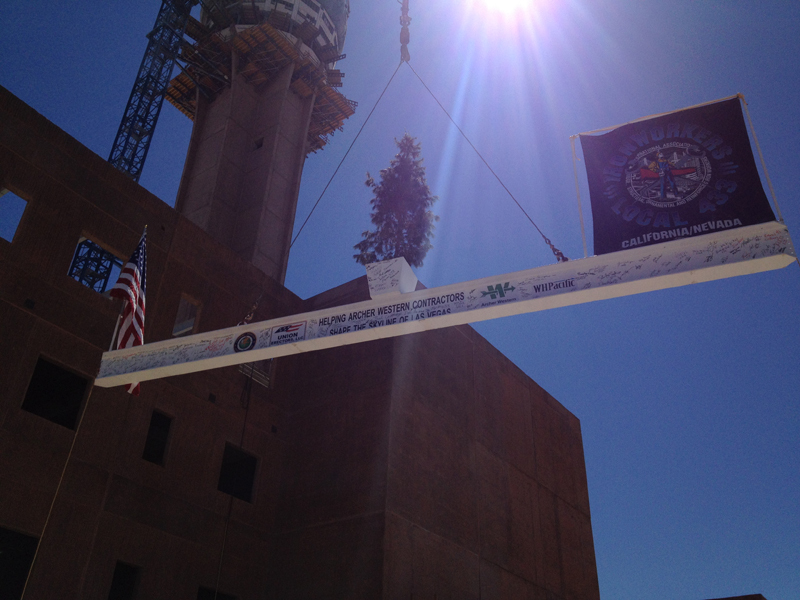 Please enjoy a few pictures of the Progress and Topping Out of the New ATCT. 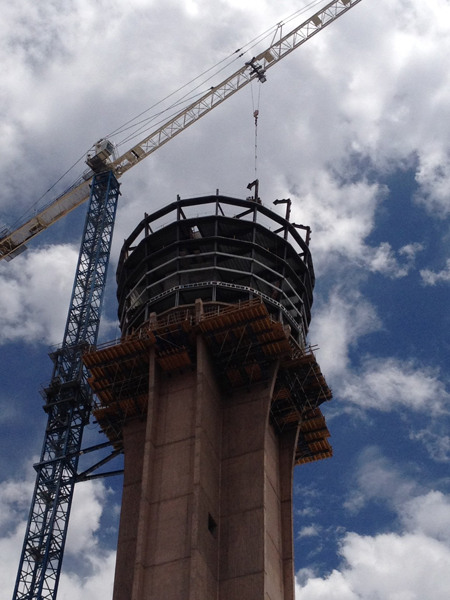 Union Erectors is in progress with work at the new Air Traffic Control Tower at McCarran International Airport in Las Vegas. 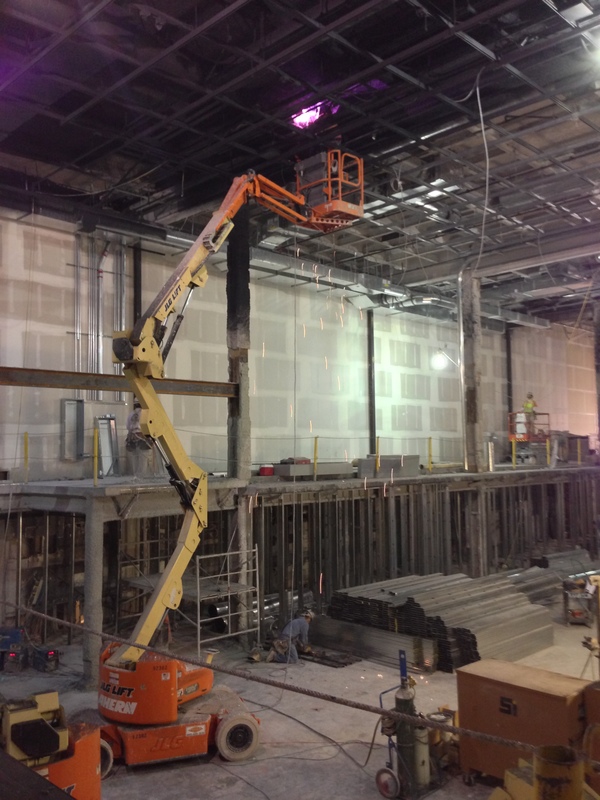 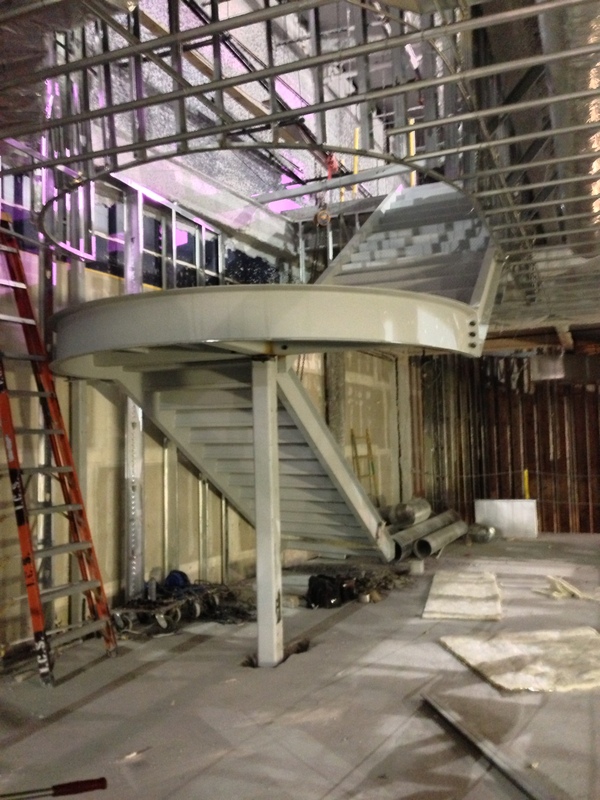 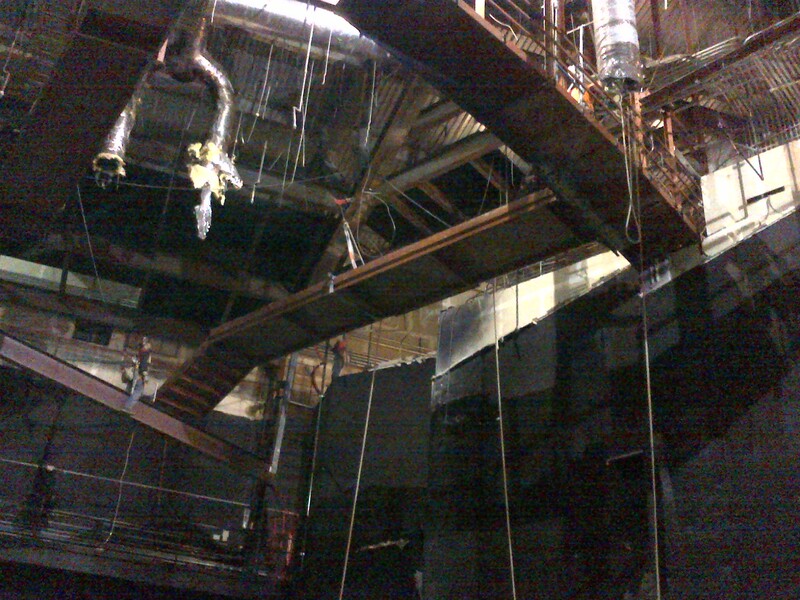 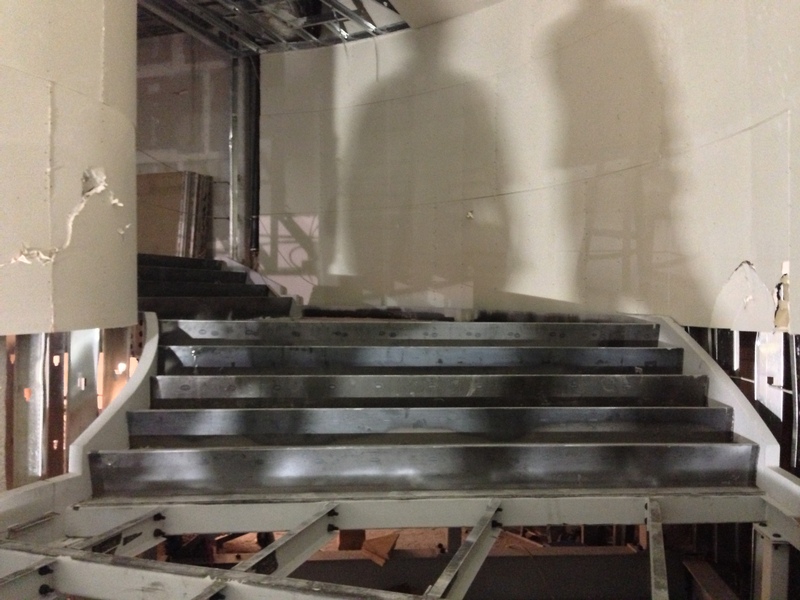 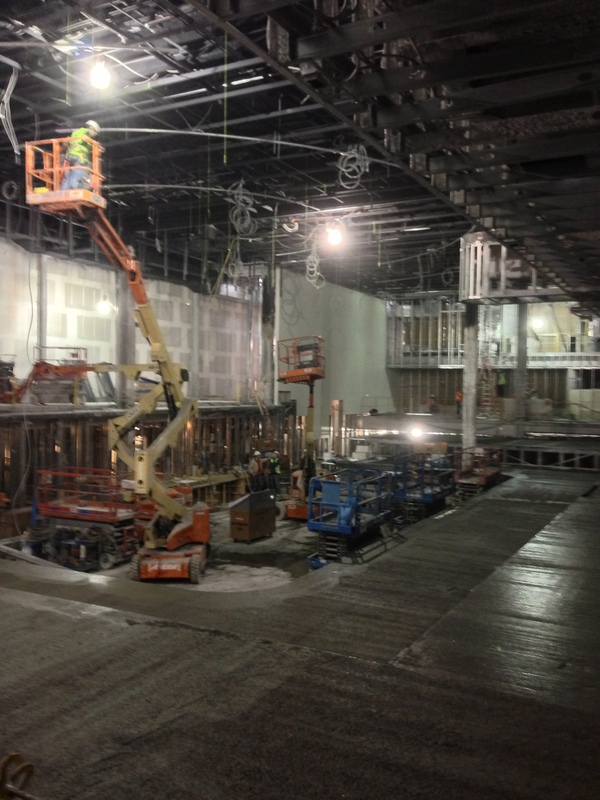 Union Erectors is in progress with work at the Michael Jackson Theater at Mandalay Bay Hotel & Casino. 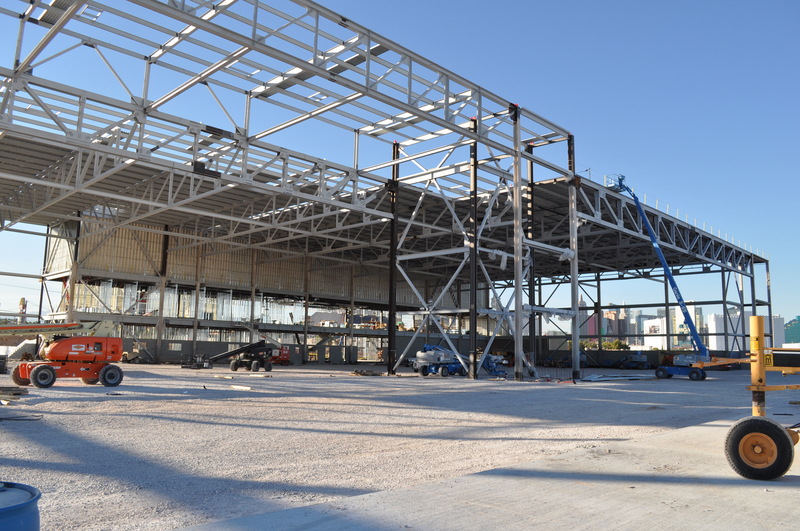 We are in the process of fabricating the new Hangar for the Sands Aviation and anticipating structural erection to start at the beginning of Summer. 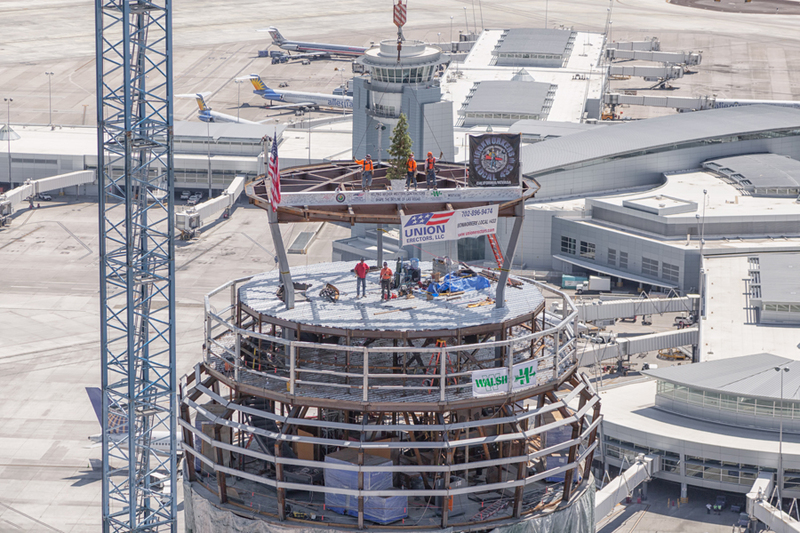 Union Erectors was also recently awarded the new Air Traffic Control Tower, TRACON and Parking Garage at McCarran International Airport in Las Vegas. 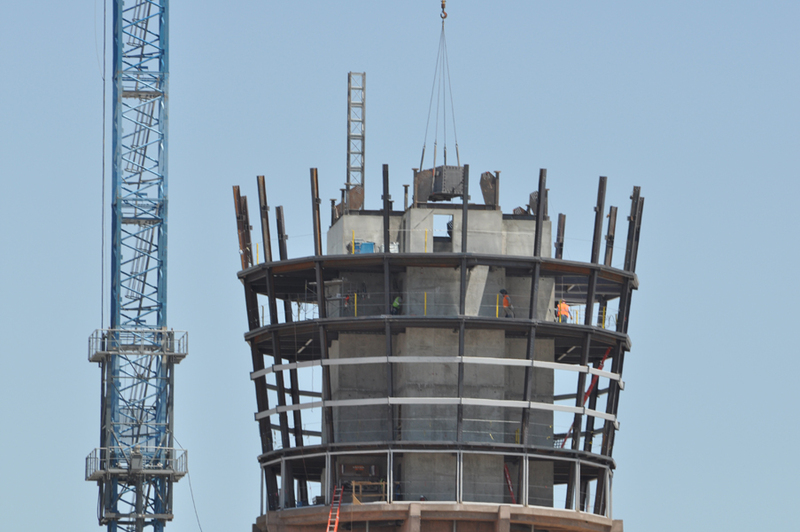 Structural Fabrication and Erection is anticipated to begin in the next few weeks. 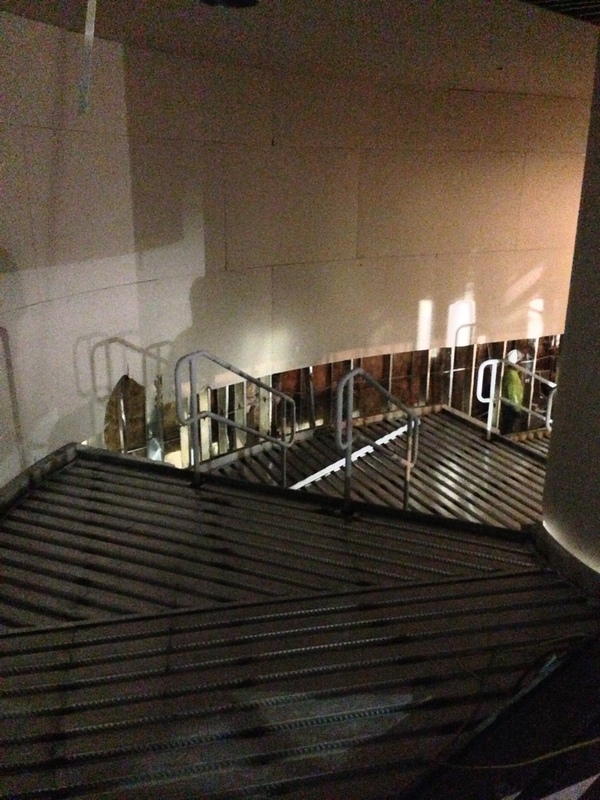 -T.I. 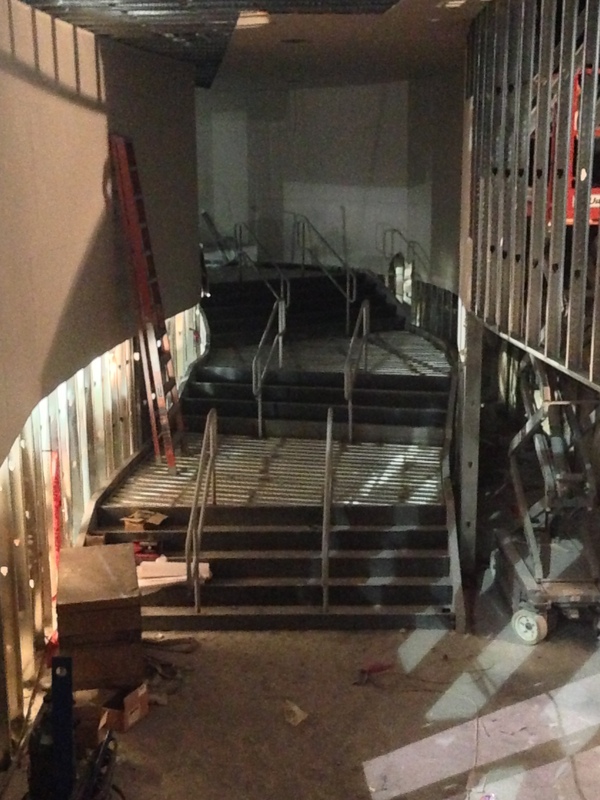 work at Dolce & Gabbana Men's and Women's Stores at Crystals at City Center. 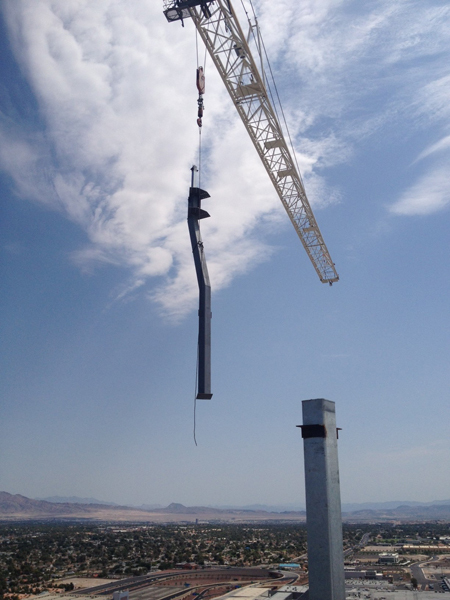 -Completion of Fabrication for the Intake Bulkhead Frame at Lake Mead, NV, located 600ft. 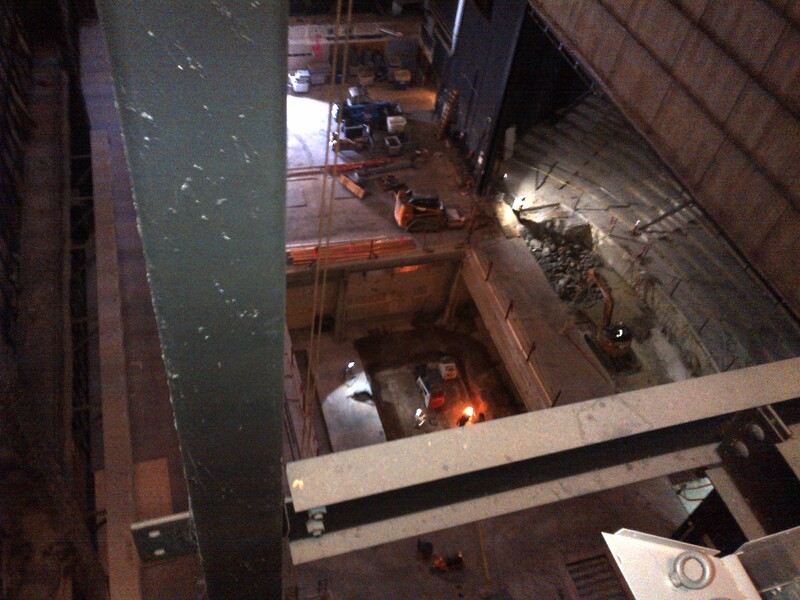 below the earth. 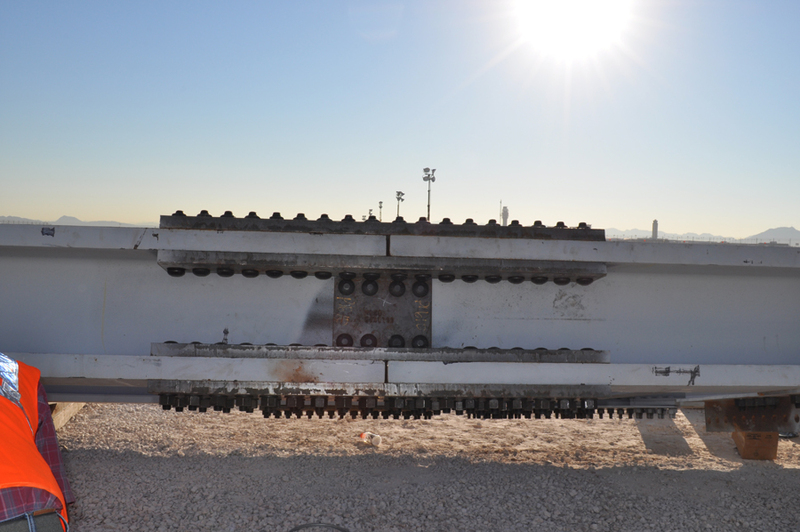 Also, make sure to CHECK OUT our PHOTO page with updated pictures from our project at the Amtrak, Winnemucca Train Station. 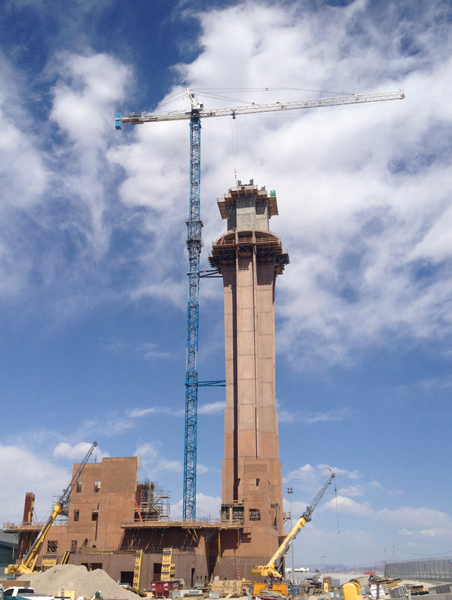 More Updates At UNION ERECTORS to come next month! 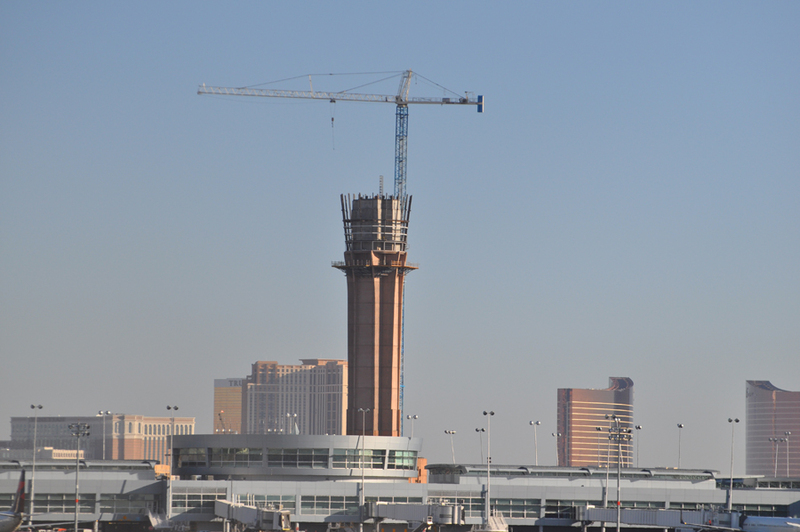 Please check out our PHOTOS page for NEW Photos from the tower crane erection at the new ATCT at McCarran International Airport! 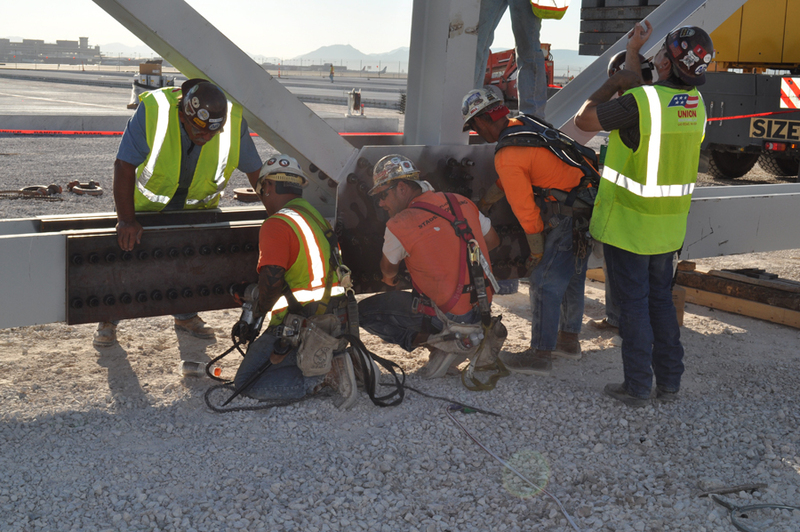 Check out Union Erectors' NEW photos from the Tropicana Express! 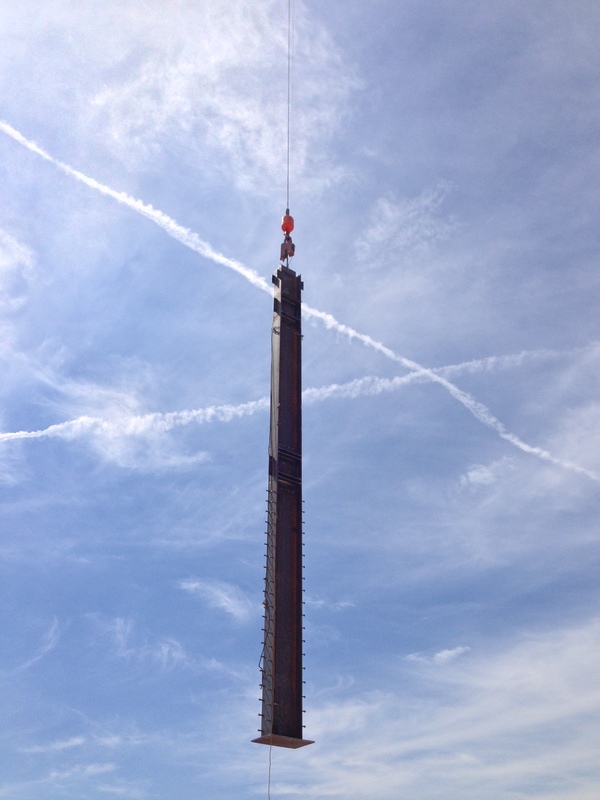 Click on the Fall Protection Photo Album to view NEW photos of one of our latest projects! 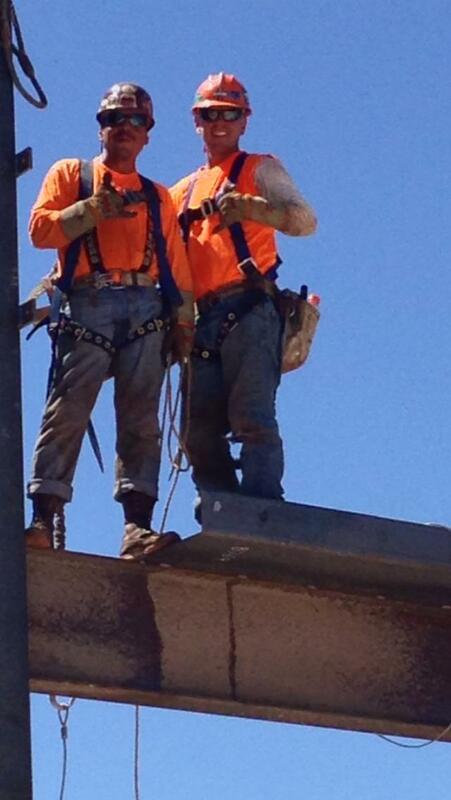 Union Erectors installed the fall protection on this project! 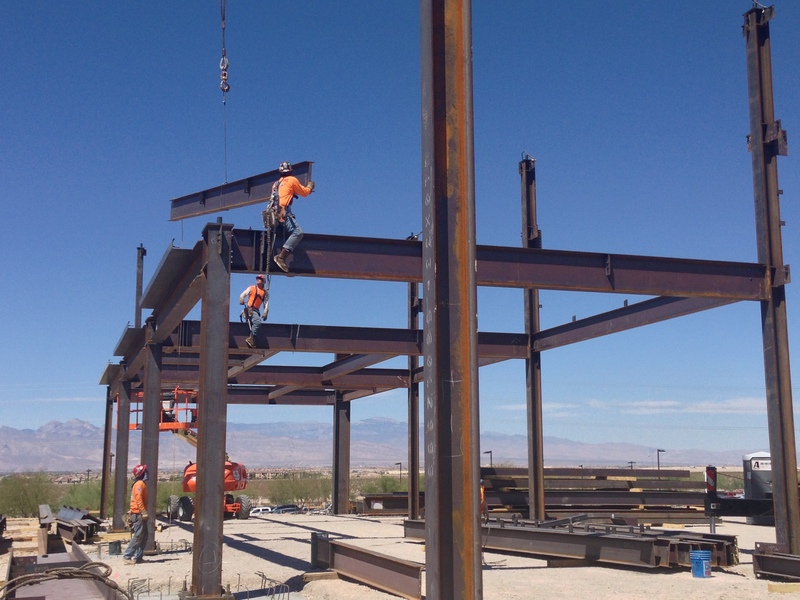 Check out Union Erectors' Structural Steel Fabrication & Structural Steel Erection Photo Albums to view NEW photos of one of our latest projects at the Bureau of Reclamation LCRO Green Building in Boulder City, NV! 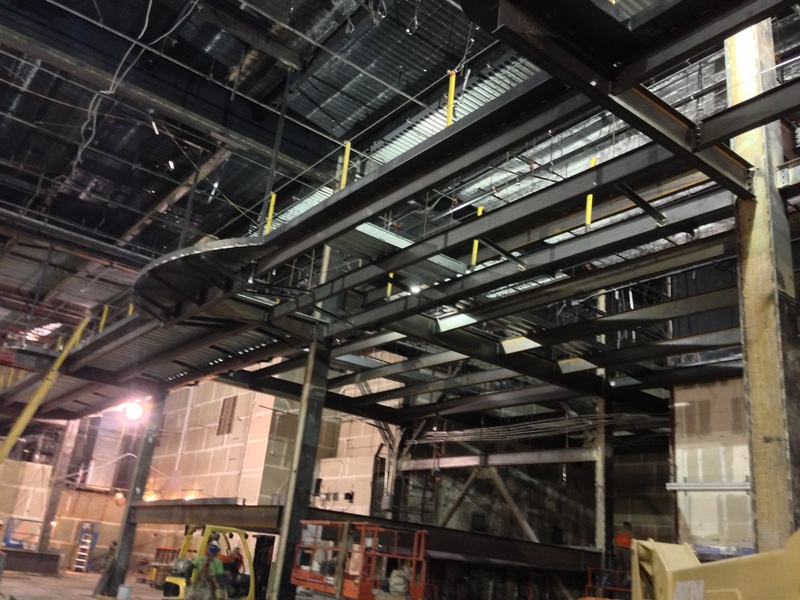 Union Erectors fabricated and erected the structural steel on this project! 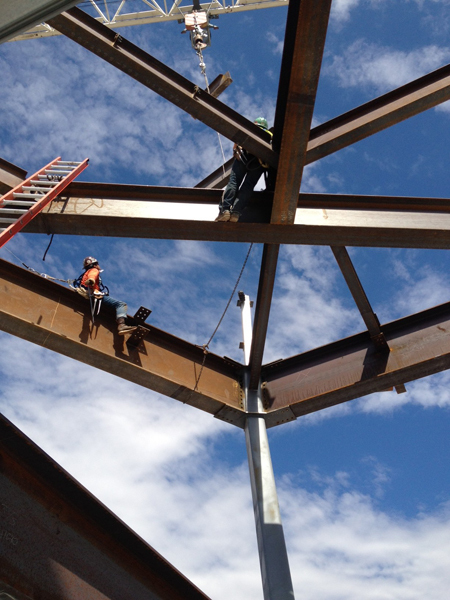 Union Erectors is ringing in the new year with new structural steel fabrication and structural steel erection work at the Lower Colorado Green Building. 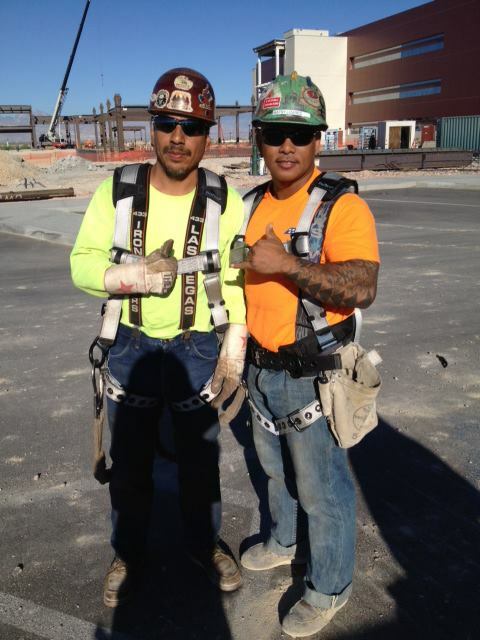 Union Erectors is also continuing with work at the Tropicana Hotel & Casino and other projects. 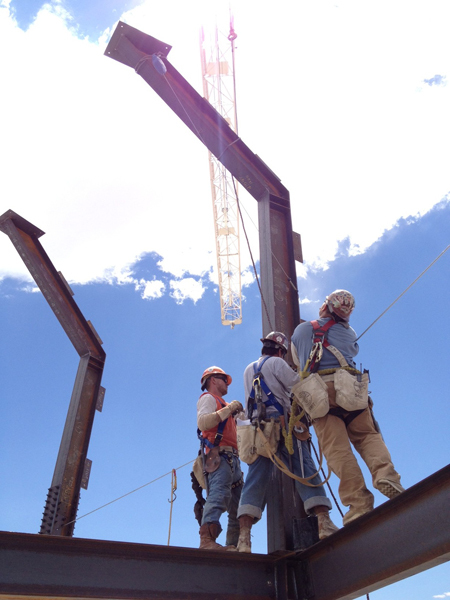 Union Erectors is also very proud to announce our AISC Erector Certification! 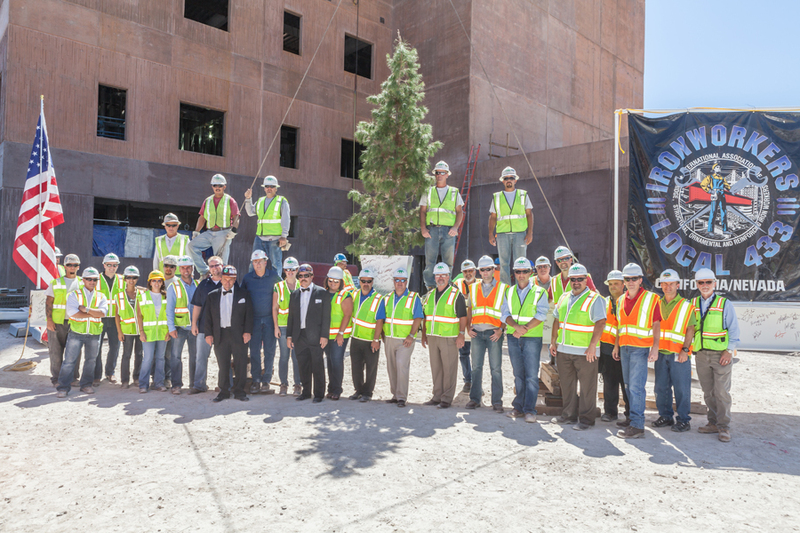 Cheers to a healthy, happy and prosperous 2011! 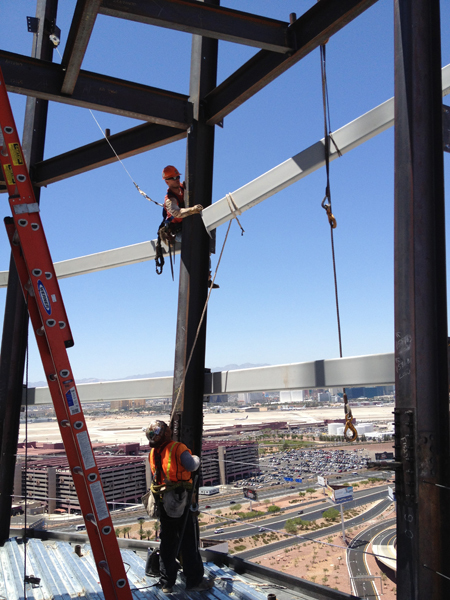 Union Erectors is currently finishing the structural steel work at Nikki Beach at the Tropicana Hotel and Casino in Las Vegas, NV.